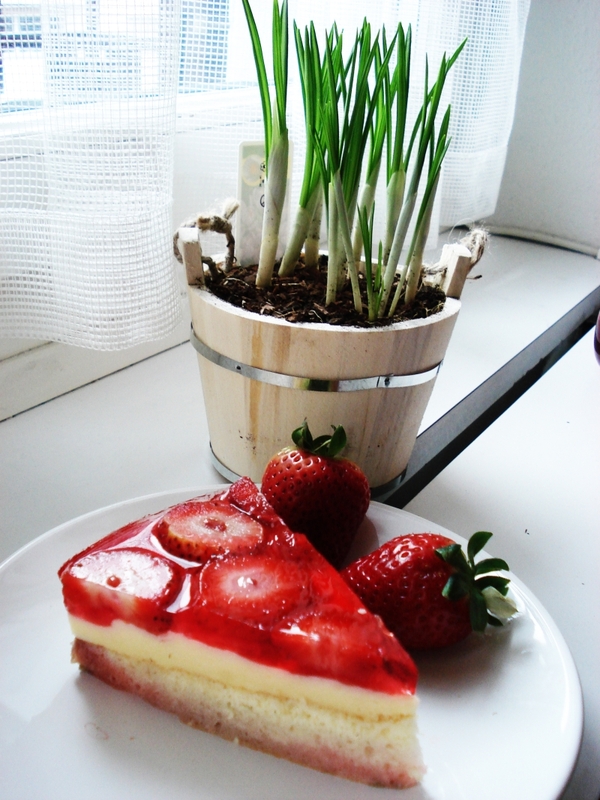 Yummy, yummy… it’s simply delicious! 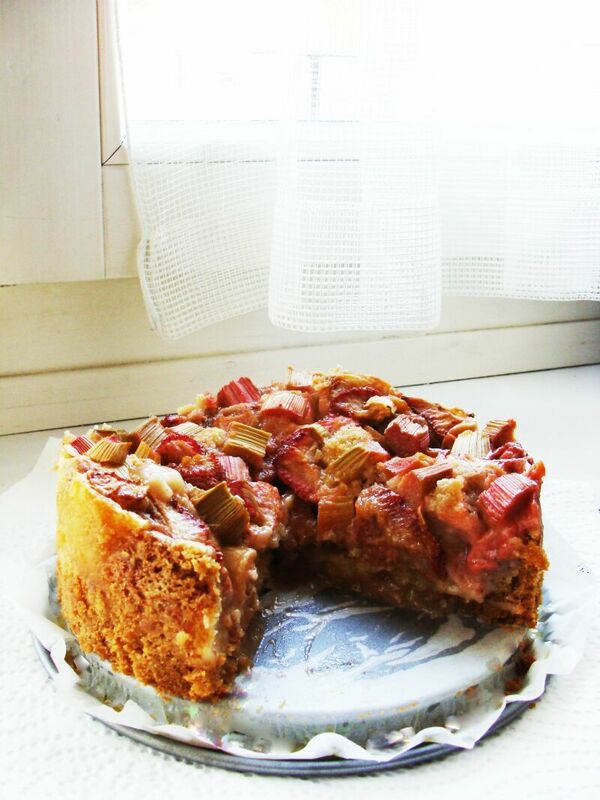 Originally it was only made with rhubarb but I like the sour-sweet combination which comes from the mixing of rhubarb and strawberries. Custard gives the extra vanilla hint. It is certainly worth making. Enjoy! I really like cornets similar to those from my local supermarket. I was looking for metal cones to make them for a while and then last week I spotted them in one of the shops. Full of energy I managed to make 6 and realized I cannot take them off the metal cones ;). Sigh. 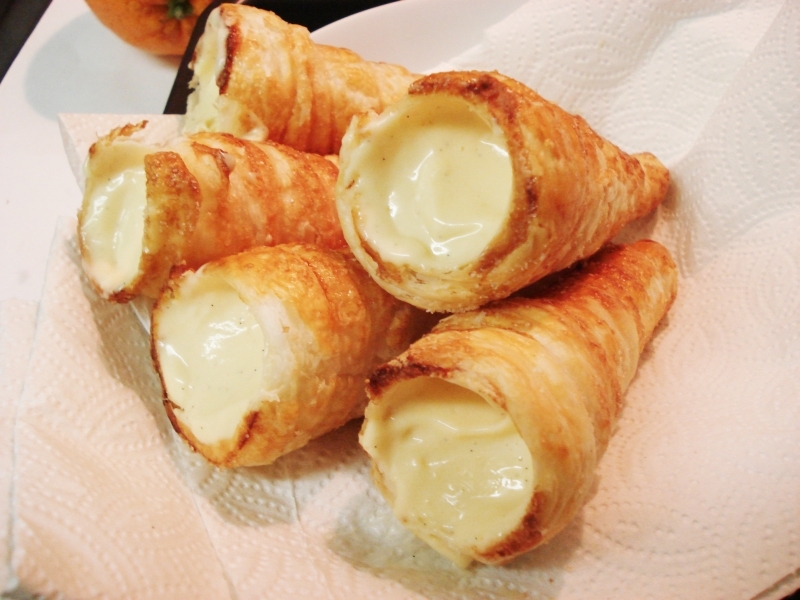 Of course I had to make them again but this time cones were coated with butter and flour. They turned out perfect and I could enjoy them with my coffee. I did not know how to call this cake and finally decided on childhood one. That’s due to the fact that my mother used to make it often when I was a little girl. I remember how much fun I had with separating the layers and eating them in the yummy order: first the biscuit, then the jelly and the (best in the end) cream. I like the biscuit recipe for this cake. You actually have to drop it on the floor after you bake it. Funny, isn’t it? Enjoy! 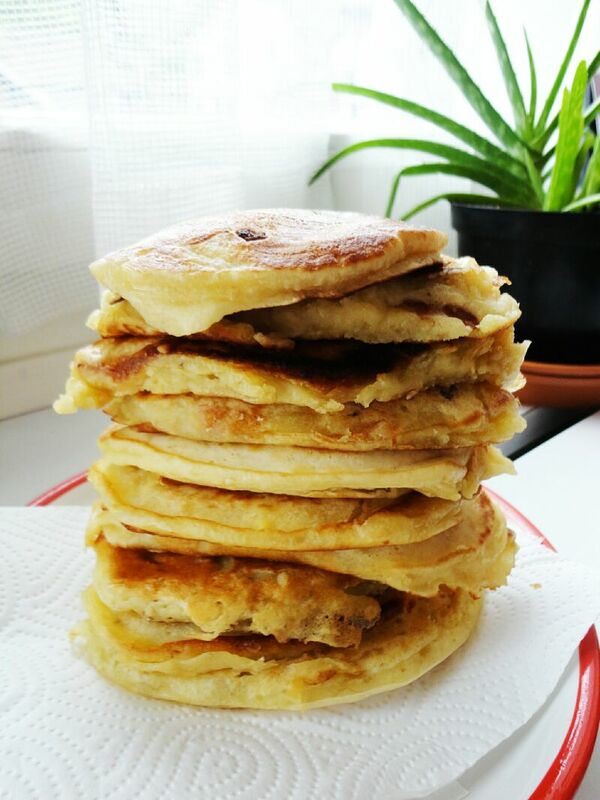 I think it was the first time when my pancakes were puffy starting from the batter and ending on the final product. 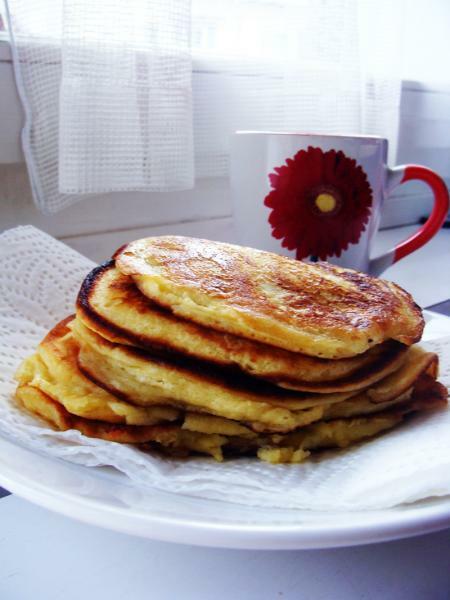 Since the recipe comes from “Nigella Express”, these ones are fast and easy to prepare. Enjoy! 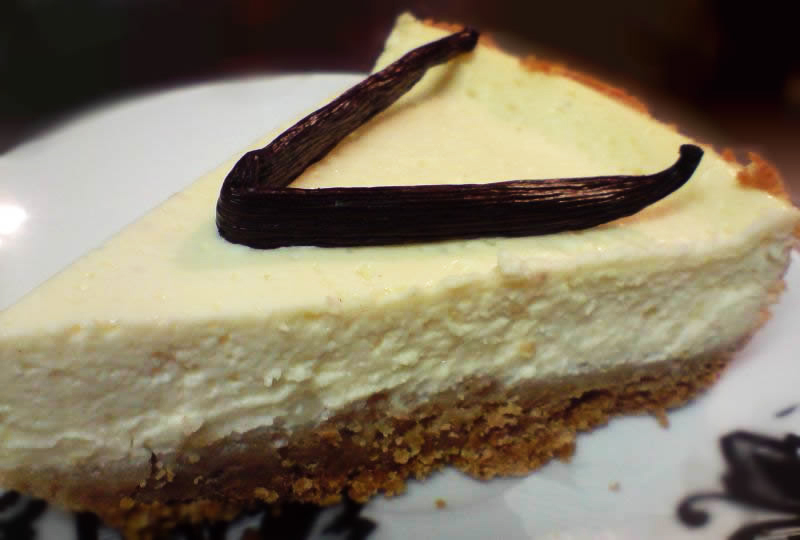 My visit to France made me think about a simple and tasty dessert. 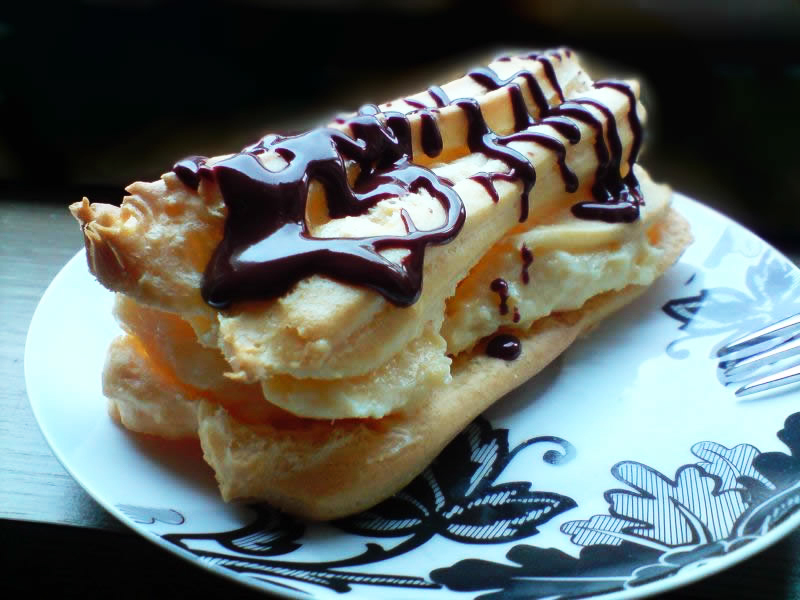 Eclairs were my choice. I love the creamy filling and puffy outside. My recipe comes from Dorota’s blog and here. Enjoy!